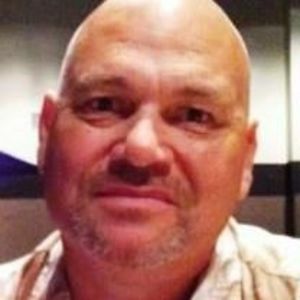 Gregory Earlin Cummings, 55, of Wilson, passed away unexpectedly Friday, December 29, 2017. He was a loving father, grandfather, brother, uncle and friend. Funeral services will be conducted 7:00 p.m. Tuesday, January 2, 2018, at Thomas-Yelverton Funeral Home, Wilson, NC. The family will receive friends 6:00 p.m. – 6:45 p.m. Tuesday, just prior to the service, at Thomas-Yelverton Funeral Home. Surviving are his two sons, Travis Cummings (Brookie) and Joshua Cummings (Mindy); two grandchildren, Nicholas Cummings and Somer Cummings; sisters, Kathy Cummings and Patricia Fields (Troy); brothers, Jeffrey Cummings (Teresa) and Michael Cummings; and many nieces and nephews. He was preceded in death by his mother, Jean Collier Smith; stepfather, Glenn Smith; father, James Cummings, Sr.; brother, James Cummings, Jr.; and sister, Nichole Cummings. In lieu of flowers, memorials may be directed to Gofundme.com, search for For Father and Family.